We are offering a unique selection of boxed holiday cards for 2015. 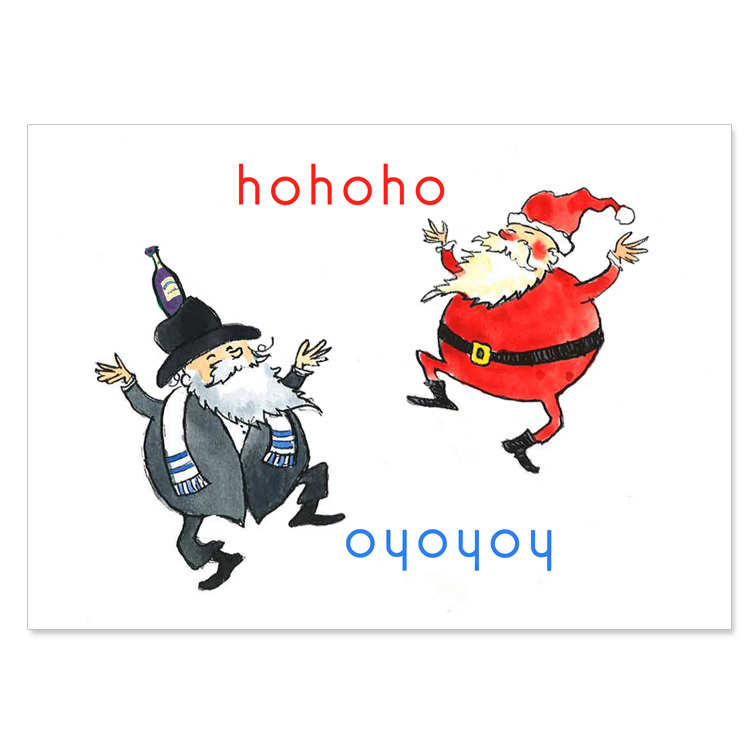 HO HO HO OY OY OY!!!! The holidays will be here before you know it. Your friends, family and colleagues will appreciate these diverse cards that say Happy Holidays to All. Our cards can be ordered in packs of ten or personalized to include your family name or for your business holiday card, we can add your business name. We can also add your business logo on the inside of our cards, if you provide us with a high resolution file! Please contact us for special pricing.